Remember View Masters? I certainly do – the 3D images just blew my mind. Oh, how times have changed! But if you lament the lost innocence before iPads and big screen televisions, grab your kids one of these old school throwbacks. Our children are growing up in such a different age. It cracks me up when I see kids assuming every screen they come in contact with is a touch screen. 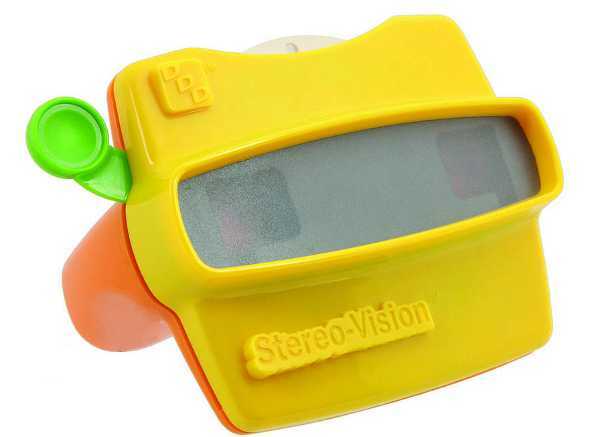 But there is something to be said for a simpler technological age – when toys were hands on, like the old View Masters. 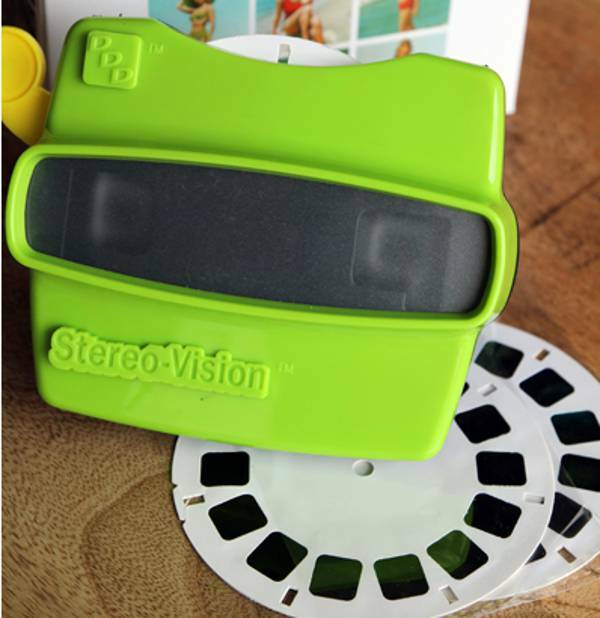 This Retro 3D Viewer stereoscope is a remake of the classic. For those too young to remember, you simply feed the discs into the viewer and click the slider down to view the images. The Retro Viewer comes with seven, 3D small colour film photographs, but I love that it can also be used with existing reels. It costs £19 plus £10 shipping from I Love Retro.